This week I thought I’d make a product review. But before we start, I just want to clarify that this post is not sponsored, it’s not a collaboration and it doesn’t contain any affiliate links. So, let’s get started. This is the product in question. 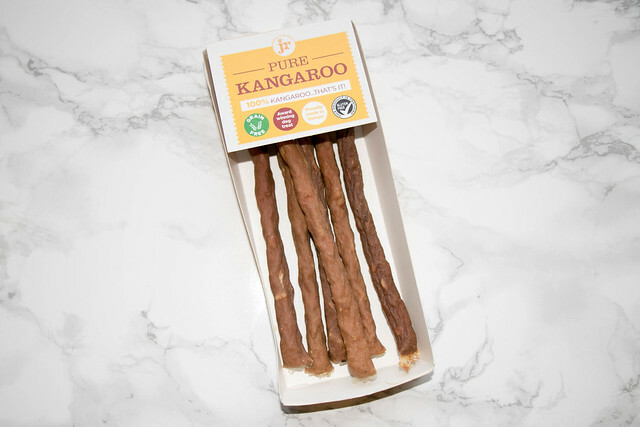 JR Pet Product’s Kangaroo sticks. What’s so great about these? Well it’s 100% pure meat – no additives or preservatives. Grain and gluten-free. Just the way I like it. Their products are aslo responsibly sourced from Europe and they only use the best quality raw material. 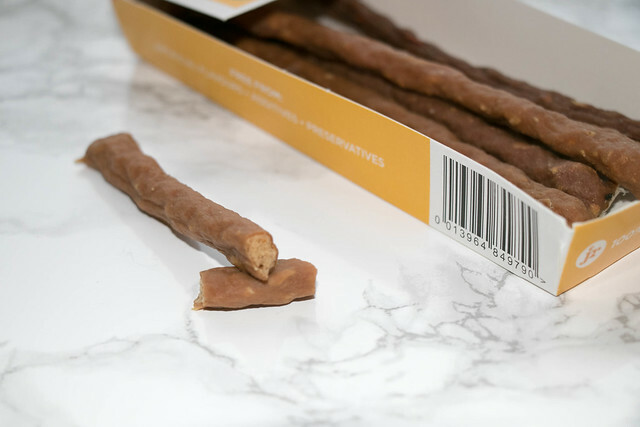 The sticks themselves are soft on the outside and a bit harder on the inside. 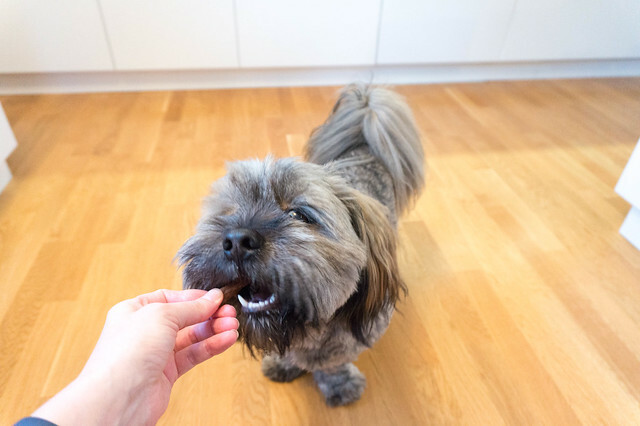 Making it easy to break of a piece, but also a bit chewy for your dog. 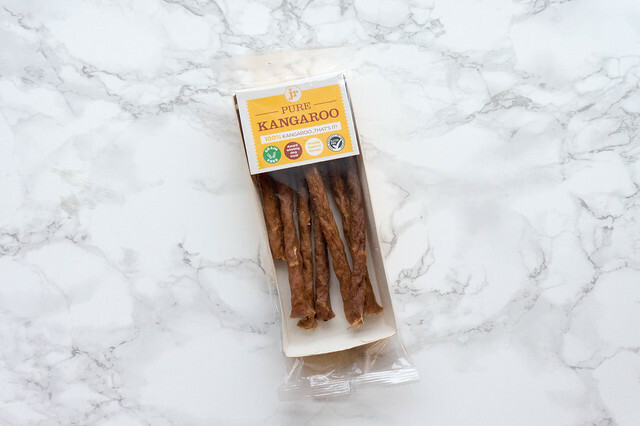 If kangaroo doesn’t rock your boat they’ve got other flavours. How about goat, rabbit, venison, beef, buffalo or lamb? No? How about fish, pork, duck or poultry? That’s more flavours than any other dog food company I’ve come across. But what does Harry think? Well, he has a sweet tooth and he does love these. 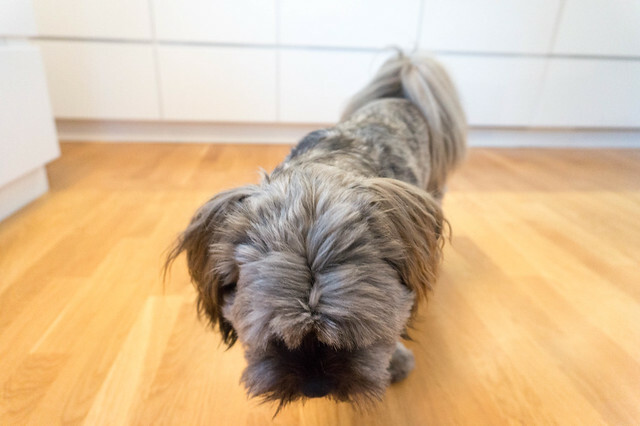 After a few days with a slow introduction without any problems with his stomach he’s now free to enjoy them as often as possible.